"Are you a student of antiquities? A historian? Do you honor your Native American roots? Are you seeking deeper information on an ancient civilization? Do you practice New Age worship, and seek to uncover the origins of its place throughout history? Students, those who honor ancient civilizations, those who practice Earth and Sky philosophies, Christians who wish to enhance Biblical knowledge of the Old Testament:The Nephilim Chronicles, Volumes I and II, are for you. Read on….. 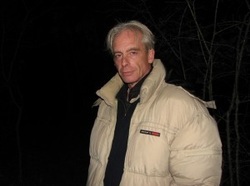 Independent researcher, author and antiquities preservationist Fritz Zimmerman, B.A. presents 10 years of research in his two-volume work, The Nephilim Chronicles. It is the most complete reporting of ALL of the giant skeletons unearthed throughout the ages from across the globe."